In 2012, First Constable Michael Jaszczyszyn of the Royal Canadian Mounted Patrol suffered the permanent loss of sight in his right eye due to a rare form of cancer, according to Global News Canada. 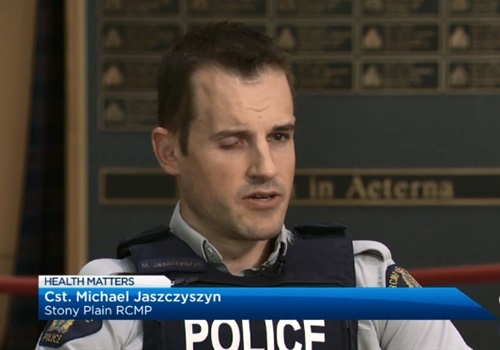 Surgeons were able to save his life by removing his eye, but Jaszczyszyn faced an uphill battle to save his career as a patrol officer with the RCMP. In 2014, he returned to the job, but was restricted to desk duty. After training himself to fire his patrol rifle from his left side and practicing to improve his depth perception, Jaszczyszyn returned to patrol duties in December 2017. "I knew that I could do the job, and I wanted to do it," Jaszczyszyn told the news station. "I missed it so much—it's all I wanted to do." Since Jaszczyszyn returned to duty—changing RCMP policy in the process—two other Canadian officers with vision issues have also resumed active duty.